The EnerSys NP1.2-6FR is a 6V, 1.2Ah, maintenance free rechargeable sealed lead acid battery for portable power. It is protected against electrolyte leakage from the case or terminals and is ideal for stand-by power applications. 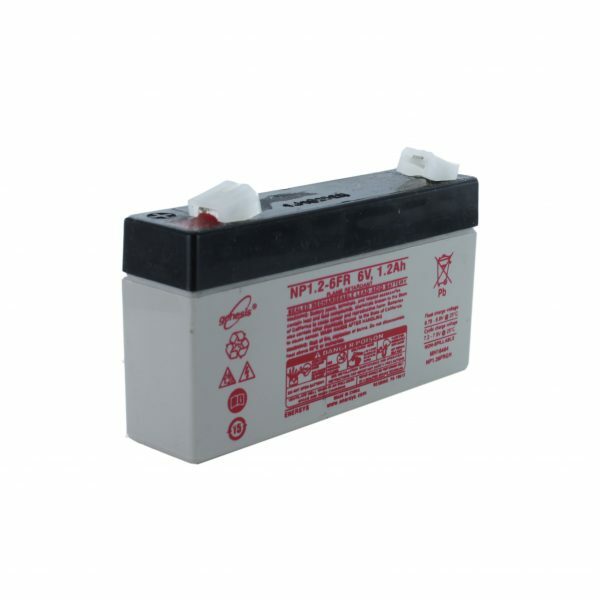 The FR in the product code indicates that this is the Flame Retardant version of this battery. This product is a part of the Genesis range by EnerSys.